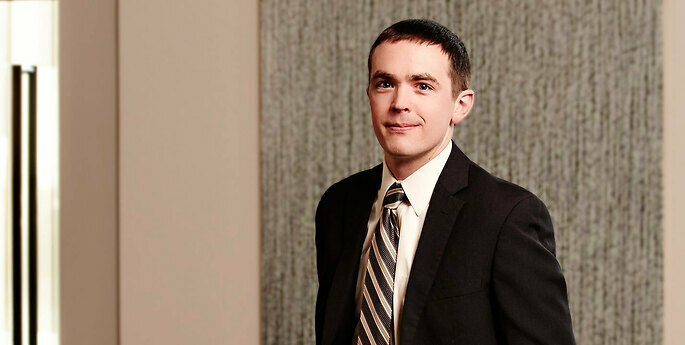 Nathaniel assists clients with intellectual property, contract, and corporate matters. Much of Nathaniel’s practice focuses on patent law, including the preparation and prosecution of patent applications, due diligence projects, and opinion work. Nathaniel also regularly advises clients on intellectual property strategy issues. He has supported patent portfolio development for entities ranging from Fortune 500 corporations to universities and startups. His areas of experience include semiconductor capital equipment; semiconductor and solar cell designs; ion implantation; optical and imaging systems; industrial chemicals; superconductors; nanomaterials; silicon wafer production; metal alloys; biomedical devices; touch screens and displays; and image processing algorithms. Nathaniel also has experience helping European companies expand into the United States, handling general corporate and complex intellectual property matters. Specifically, Nathaniel has helped startups and mid-sized corporations from Belgium, the Czech Republic, Finland, France, Germany, Latvia, and Lithuania grow their U.S. businesses or develop their global patent portfolios. Besides helping obtain patent protection, his work with European companies includes corporate formation, sales agreements, joint development agreements, and intellectual property licenses. Nathaniel is a member of the firm’s blockchain and cryptocurrency, startup, and cleantech practices, where he frequently counsels emerging companies about intellectual property, contract, and corporate issues. Prior to joining Hodgson Russ, Nathaniel spent more than five years as in-house intellectual property counsel at a semiconductor capital equipment manufacturer in Massachusetts. While there, his responsibilities included patent preparation and prosecution, patent and trademark portfolio management, patent reexamination, patent infringement matters, due diligence projects, negotiating license agreements, managing government contracts, and opinion work. Nathaniel also managed aspects of a multibillion-dollar acquisition. At Franklin Pierce Law Center, Nathaniel was lead articles editor for IDEA: The Intellectual Property Law Review and competed in the Philip C. Jessup International Law Moot Court Competition. He also won the New Hampshire Bar Journal Editor's Award in 2007. Will we hash out blockchain patents for the next decade? Fighting Patent Application Rejections with Market Information: More Than Just "Nobody Else Sells This"